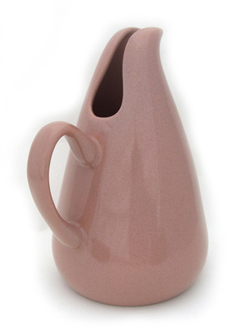 I decided to write this article while I was researching Italian mid-century ceramics for my book Alla Moda: Italian Ceramics of the 1950s-70s. I was surprised that no history of Raymor existed given its clear importance to mid-century decorative arts and interiors in America, and factories and designers in Europe. I was also surprised at the amount of plainly incorrect and conflicting information available in books and on the internet. This article is based on my personal findings through handling objects over the past ten years, and on interviews and a handful of documents which are listed at the end of the article. As such, this article is a work in progress, and is not intended to be the definitive answer or history of the company. If you can contribute more, please contact me. If you would like to use some of the information in this article in a book, on a website, or in an eBay listing, please play fair and credit me and my website, preferably with a link to this page. Please don’t copy my work and reproduce it anywhere else without my permission as it’s my copyright and I didn’t get paid for researching or writing it. Thank you very much. Raymor was the brand name of an import company and distributor based in America and active from 1941 until 1980. Although it imported most of its stock, it also oversaw the manufacture of a comparatively small quantity of goods in the US. During its lifetime, Raymor worked with many leading American, Italian, and Scandinavian designers and the companies they worked for. The company entity was incorporated as Russel Wright, Inc in 1936 and was liquidated on April 8th 1980. Raymor was built by the American entrepreneur Irving Richards (left, 18th May 1907- 19th November 2003), who was born Irving Rappaport in Manhattan, New York. He became one of the most influential figures in mid-late 20thC design, and was at the cutting edge of popular American tastes during the period. He grew to understand the US buyer, their tastes and their homes, so knew what they would buy. 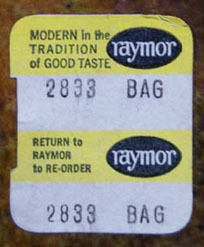 Raymor’s catchphrase, printed on nearly all of its paper labels (right), was ‘Modern in the Tradition of Good Taste’. Richards himself was described as a ‘merchandising tastemaker‘ by Donald Albrecht, co-curator of the Russel Wright exhibition at the Cooper Hewitt National Design Museum in 2001. He forged strong relationships between designers, manufacturers, retailers, and advertising and PR agencies which resulted in the best of modern design at all levels being brought to the wider American public. Richards’ first business, started when he was 19 in 1926, was a bookshop on Broadway that specialised in selling rare and first edition books, and possibly a small range of desk accessories. This was clearly successful, as he was able to travel to Paris in 1928 to buy stock and to visit the famed Salon d’Automne art and design fair. This was his ‘Damascus moment’, and he recalled “…I was mesmerised by what I saw… It was like ‘seeing the light’.“. This was an apt phrase as, upon his return to New York, Richards closed his shop in 1930 and joined Lightolier for whom he travelled around Europe in search of new lighting designs, and undoubtedly sales contacts. The Depression had caused a drop in book sales, meaning the rent on his shop became too high to bear, and Richards needed a job to earn a living. 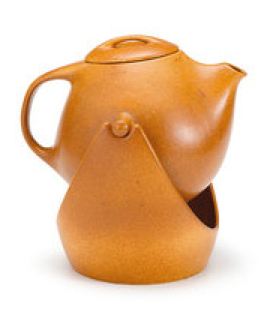 Richards’ first, and arguably most critical, relationship was with designer Russel Wright (1904-76). 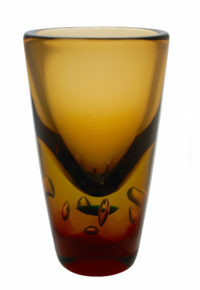 The two were introduced by Richards’ mentor Andy Rouge, a buyer for Stern Brothers and Ovington’s, in 1935. 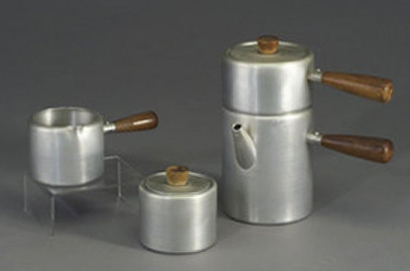 Richards was impressed by Wright’s spun aluminium lamps and kitchen and table wares (below), which were being sold by Rouge and were produced in a small Midtown workshop by Wright, his wife Mary and a couple of other assistants. This began a fruitful relationship with Wright, and led to the formation of Russel Wright Inc. on March 10th 1936. Richards had presumably left Lightolier by this point. On April 17th 1937, the company’s name was changed to Wright Accessories Inc. 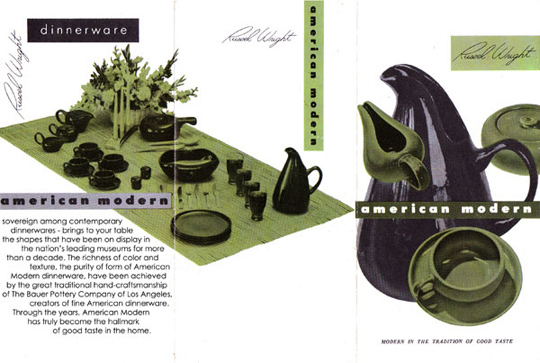 The pair’s most celebrated and successful collaboration was over Wright’s landmark ‘American Modern’ ceramic tableware range (advertisement below, and jug at end of article), which was first produced in 1938 by Wright Accessories, but ended up being mass-produced by Steubenville later that year. 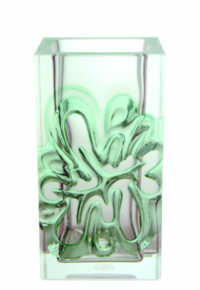 In 1941, the Wrights sold their share of the Wright Accessories business to Richards, with the proviso that Richards help them with their ‘American Way Program’ of supporting new American designers. He did this, but it was ultimately unsuccessful. Following the sale, Wright Accessories Inc. was renamed Raymor Mfg Division Inc. on February 19th 1941, and Raymor was born. In 1941, the Raymor Mfg Division made an announcement about the release of new shapes for the growing ‘American Modern’ range. In the same year, Richards Morgenthau & Co. issued a release saying that ‘American Modern’ was made exclusively for them by Steubenville and sold exclusively by them. This relationship seemed to also include Steubenville’s other dinner ware and lasted for ten years, until 1951. This deal was obviously lucrative for Raymor, even if their commission was very small, as sales of ‘American Modern’ had exceeded $150m by 1959. Richards Morgenthau may have simply lost exclusivity in 1951, as they still offered the range for sale in 1954. The relationship with Wright clearly blossomed into something enormously profitable for Richards, and led to a number of companies being founded under the Raymor and Richards Morgenthau names. Morgenthau sold one to Simmons (the mattress company) in 1968. Little is known about Richards’ business partner Eugene Morgenthau (1st January 1904 – 11th January 2004), but according to a member of his family, he began his career by selling jewellery. The Great Depression caused him to lose his job and, later, he founded his own company importing Danish furniture and also met and had a business relationship with Russel Wright. It is highly possible that this was the same company and so, together with Richards. The details about how the two men met, their individual responsibilities, and their exact business arrangement are not yet known. 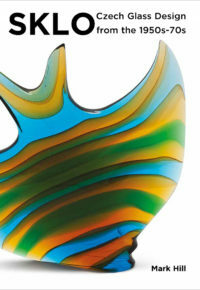 According to ‘A Dictionary of Modern Design’ published by the Oxford University Press, a factory was founded under the Richards Morgenthau name in New Jersey to produce lighting, ceramic and glass designs in 1947, but currently there is no other source that supports this information. The Wright relationship would have also given him a huge range of contacts, and contracts, with distributors, manufacturers and retailers across America and probably beyond. All of these would have combined to make Richards’ company immensely strong and powerful. By 1952, Raymor had an office on the prestigious 5th Avenue in Manhattan. 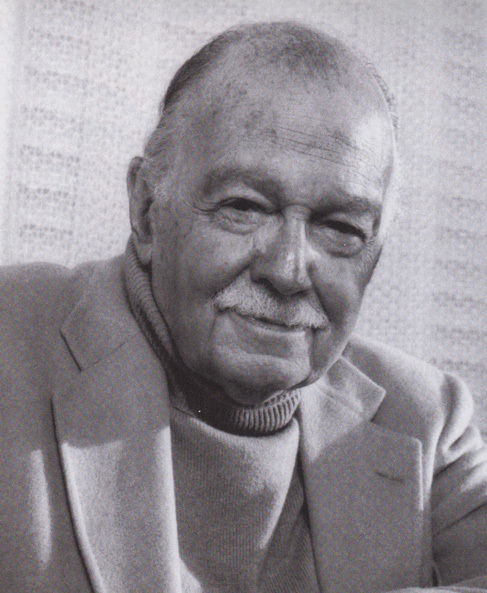 In the early 1950s, following the loss of exclusivity over American Modern, and the loss of Wright to other achievements, Richards looked for other options to continue and develop his business. He began to work with other designers and, over the subsequent three decades, these would grow to include George Nelson, Gilbert Rhode, Donald Deskey, Walter Dorwin Teague, Ray & Charles Eames, Ben Seibel (teapot, above left, for Roseville), Glidden Parker, David Gil, Michael Lax, Eva Zeisel, Hans Wegner and, in the later years, Peter Max. Richards had also gained experience designing his own ranges. 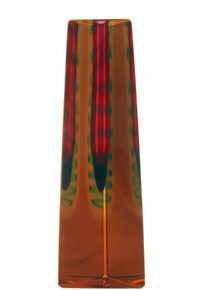 In 1946, he tried unsuccessfully to sell a range of Mexican produced glassware into Gimbel’s as they stocked the far more successful ‘American Modern’ range. He also resumed the travels in Europe that he had begun when working for Lightolier, and travelled to Denmark which led to him importing Danish furniture and lighting. He also established relationships with many factories in Scandinavia, Mexico, Italy and West Germany from the early to mid 1950s, including Italy’s Bitossi (right) and West Germany’s Carstens. He made at least two trips a year to Europe, and presumably visited many countries and different companies on each trip due to the expense of travel at the time. The 1950s can thus be seen as the start of the importation and distribution side of his company, which grew to include furniture, lighting, glass, wood, and ceramics. In 1963, Raymor was sold to furniture company Simmons, which itself was later sold to Gulf & Western. The company name was changed to Raymor Richards, Morgenthau Inc. on December 15th 1969. During the mid-late 1960s and early 1970s, Richards was placed in charge of furniture. In interviews he hinted that money was no object as he was no longer in charge of the company’s finances – the new owners seemed keen to finance his decisions based on the success he had enjoyed in previous years. One of his great successes was the ‘Omnibus’ range of Scandinavian-style wall units. 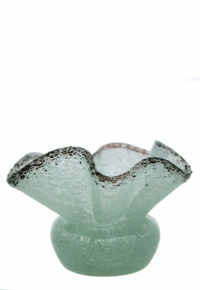 Raymor also imported large amounts of Italian glass and pottery, mainly from factories in and around Florence and Murano. These included Bitossi ceramics designed by Aldo Londi (right), Bagni ceramics designed by Alvino Bagni, ceramics by Mancioli and Ceramica Pozzi, and glass from factories around Empoli. Richards also submitted designs by himself or by other designers Raymor worked with, such as Ben Seibel. He strictly controlled the final outcome by taking part in every part of the decision process, but always took advice from Bagni, Londi, or their equivalents. This focus on importing and promoting Italian products reputedly led to him being awarded a knighthood by the Italian government, who were rebuilding following the devastation of war. This award has never been confirmed, however. 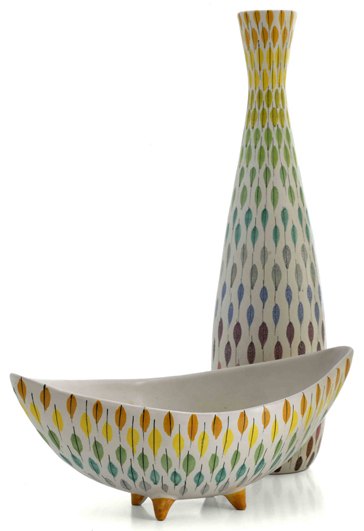 Richards was also instrumental in introducing Ettore Sottsass to ceramics around 1956, placing him firmly under the wing of Aldo Londi at Bitossi. By the late 1960s, Richards must have been able to enjoy a comfortable lifestyle. He collected Latin American art, and took up sculpture (left, by Richards) and painting, presumably to further exercise his creative spirit. 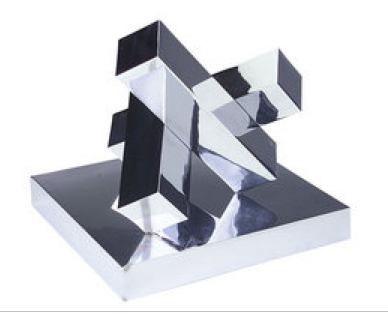 In the 1990s, his apartment was filled with design classics by great names in postwar design from across the world, as well as his own artworks. The 1960s & most of the 1970s must have been fruitful years for Raymor and Richards who could reap the rewards of the seeds he had sewn in the 1950s. It is likely that these two decades saw the golden age of the company in terms of its size and levels of sales. It is currently not known when Richards left Raymor. It is possible that when he retired, the firm lost its driving force, spirit and soul, and no replacement as skilled or foresighted as Richards could be found. It may also be that tastes began to change during the late 1970s and Richards failed to change with them, or could not compete against the competitors he had no doubt inspired. It is also likely that, from the late 1970s onwards, many of his regular suppliers began to suffer from competition from factories in the Far East who could produce similar goods for much less than European makers, even if the quality and longevity suffered. Further, many previously independent department stores merged into fewer, larger chains who had their own buyers with targets to reach that were set by accountants. When buying, the public also perhaps became a little less discerning, and more willing to change their interior styles on a more frequent basis as goods became less expensive. It is likely that this combination of changes also caused his largest competitor, Rosenthal Netter (founded 1959), to close during the same period, or in the 1980s. What is known is that on October 4th 1978, the company was merged with a Californian company called Moreddi, who were based in Long Beach. Founded by Maury and Ed Frank, hence the name, Moreddi was one one of the first companies to import Danish furniture into the US. It is likely that Raymor’s owners decided to merge two companies that had similar activities in a declining market in an attempt to make them viable concerns again. Whatever happened at the end, Irving Richards and Raymor left an enormous and diverse legacy across Europe and the US that deserves to be properly recorded and explored. Without Raymor’s valuable and important input, the work of many important 20thC designers may not have been as important or recognised as it is today. If you know more about Raymor, Richards Morgenthau, Irving Richards or Rosenthal Netter, or have spotted inaccuracies or errors in this article, please contact me. This article is a work in progress and any additional accurate, correct information would be gratefully accepted. Credits for any information submitted and used will be credited to the donor/owner. Although there is no intention to do so, if you feel that any copyright has been infringed in this article, please contact me. Thank you. If you would like to use some of the information in this article in a book, on a website, or in an eBay listing, please play fair and credit me and my website, preferably with a link to this page. Verbal interviews with Gianfranco Ghiretti (Nuoveforme) and Elisabetta Daini (Bitossi) conducted by Mark Hill in Summer 2011. With thanks to Forrest Poston of ginforsodditiques, Jonathan Goldstein and Kevin & Alison of Bit of Butter for leads to extra information from American state departments. Text and image of Raymor label are copyright Mark Hill Publishing Ltd, other images with thanks to and courtesy of David Rago and Miller’s. Photo of Irving Richards by Adam Anik and scanned from the reproduction in Echoes magazine (listed above).